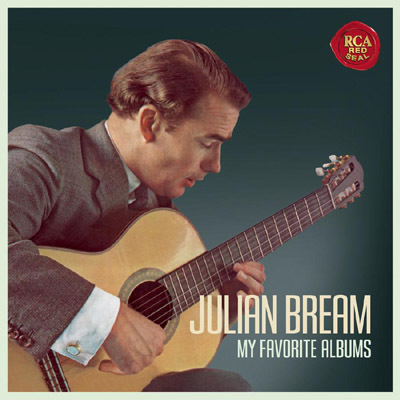 This 2011 limited-edition box contains guitarist Julian Bream's 10 favorite albums made between 1959 and 1982 for RCA, reproducing the original cover art and sleeve notes of each one. The selection paints a great picture of Bream's range. There are the transcriptions of piano music by Granados and Albeniz that have become familiar not just through Bream's recordings, but also through those who followed him, and there are his transcriptions of Bach's lute suites. The Woods So Wild is a full album of Bream playing the lute, an instrument he had to teach himself since the period performance movement was in its infancy at the time. Other popular works include the "Concierto de Aranjuez"; the Fandango from Boccherini's "Quintet in D major, G. 448"; and dances from Britten's "Gloriana," featuring the Julian Bream Consort. Disc 9 is a live recital from 1978 where Bream was joined by his frequent duo partner John Williams. Recommended for fans of classical guitar and anyone wanting a broader look at Bream's career than a one- or two-disc compilation will provide.